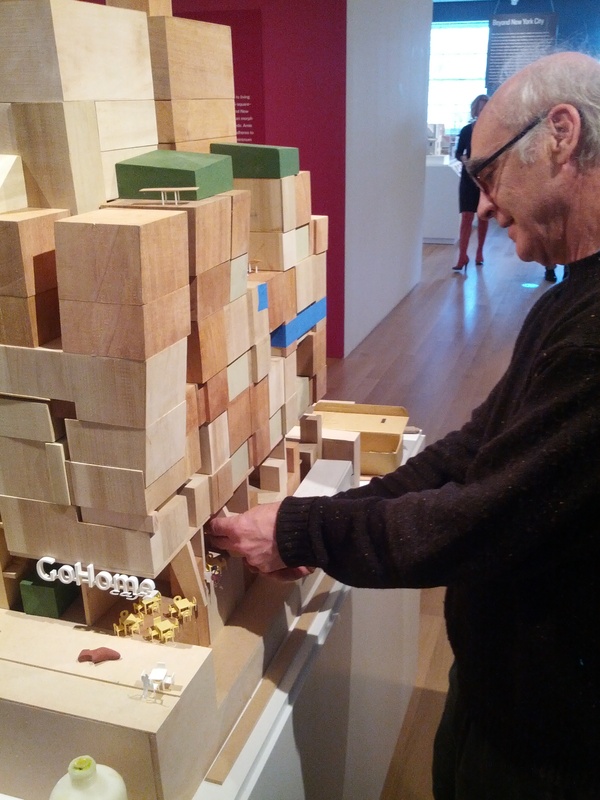 Making Room: New Models for Housing New Yorkers showcases innovative design solutions to better accommodate New York City’s changing, and sometimes surprising, demographics, including a rising number of single people. The exhibition features a full-sized, flexibly furnished micro-studio apartment of just 325 square feet – a size prohibited by law in most areas of the city. 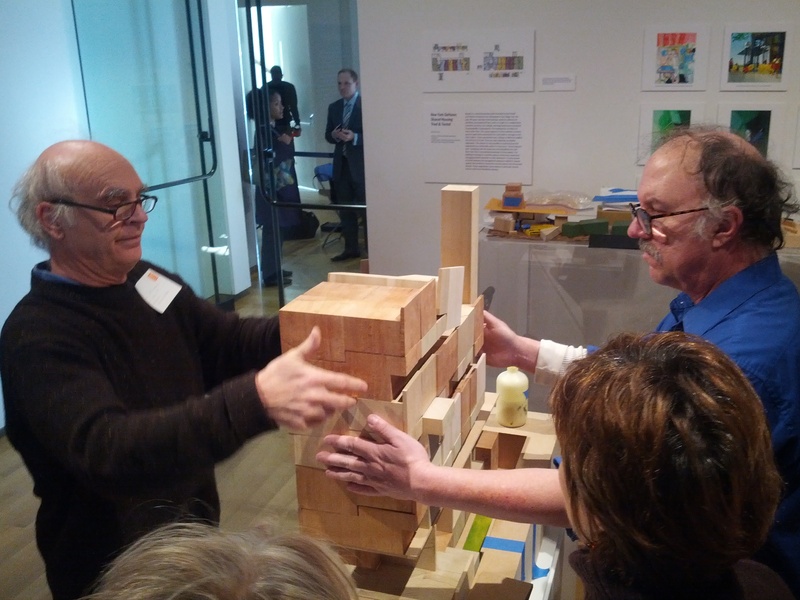 Visitors to the exhibition will see models and drawings of housing designs by architectural teams commissioned in 2011 by Citizens Housing & Planning Council, in partnership with the Architectural League of New York. 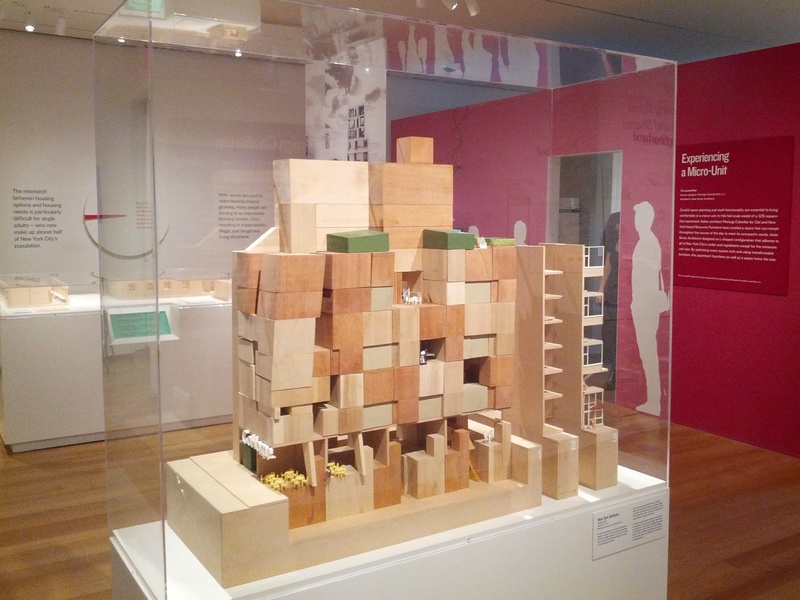 The exhibition also presents winning designs from the Bloomberg administration’s recently launched pilot competition to test new housing models, as well as examples set by other cities in the United States and around the world, including Seattle, Providence, Montreal, San Diego, and Tokyo. 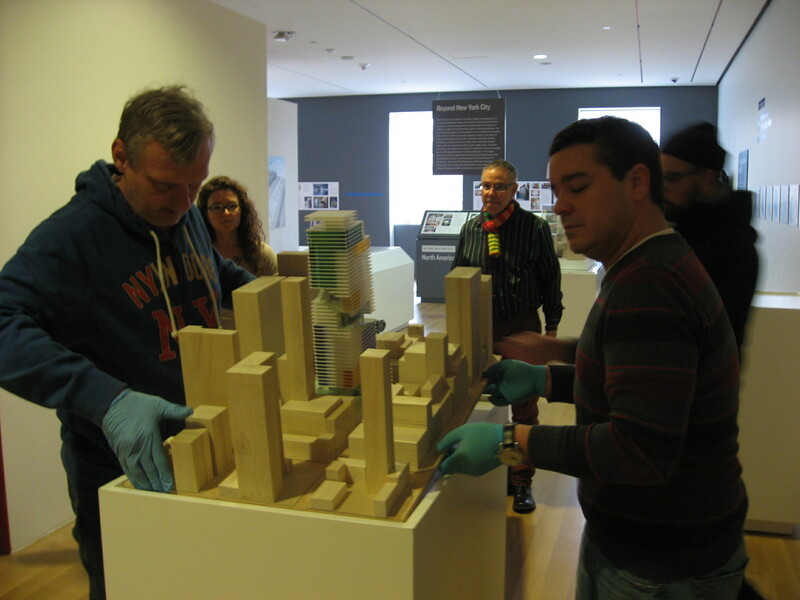 What follows is a selection of snapshots documenting the installation of three models in the exhibition, as supervised by our Assistant Registrar and Chief Preparator, starring our splendid crew of art handlers and featuring cameos of the architects and fabricators for the models. 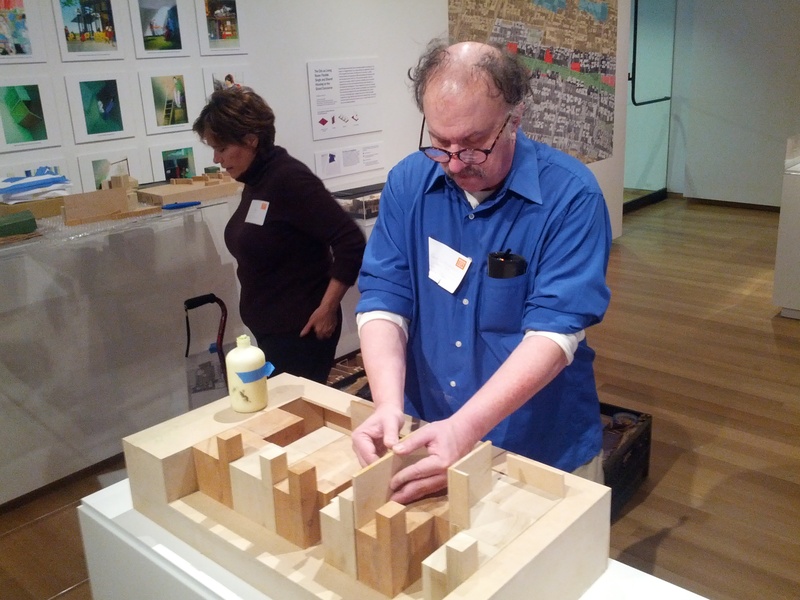 Stan Allen Architects, a firm in New York City, has two architectural models in the exhibition. 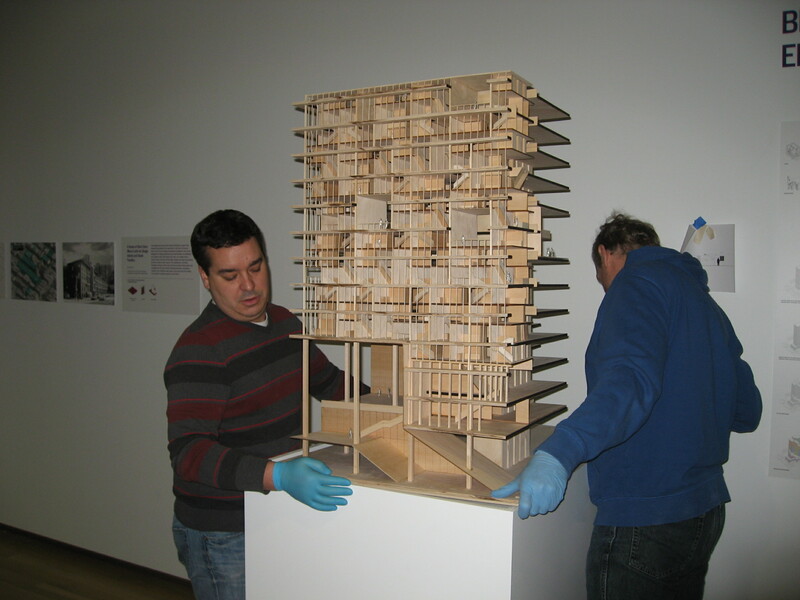 The picture above is their Context Model being placed upon its base in the gallery. 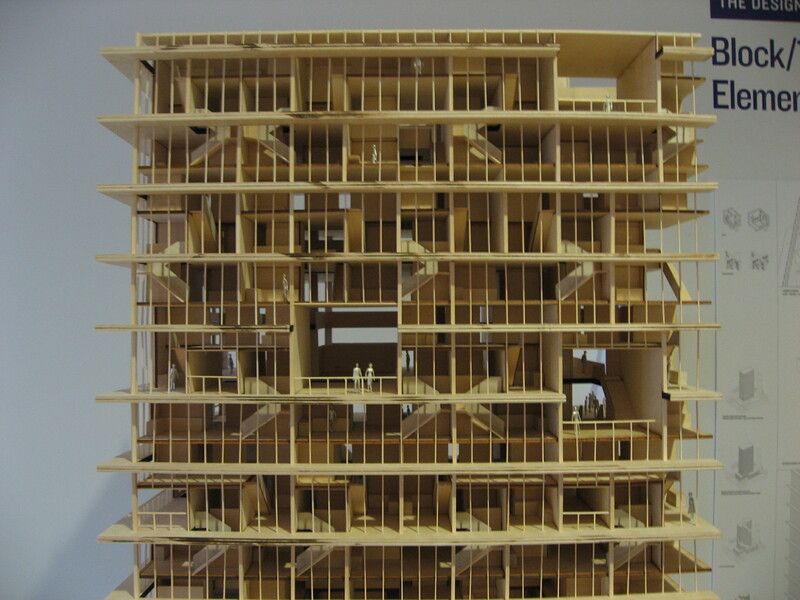 The 3/16 Detail Model depicts the tallest structure in the previous Context Model. 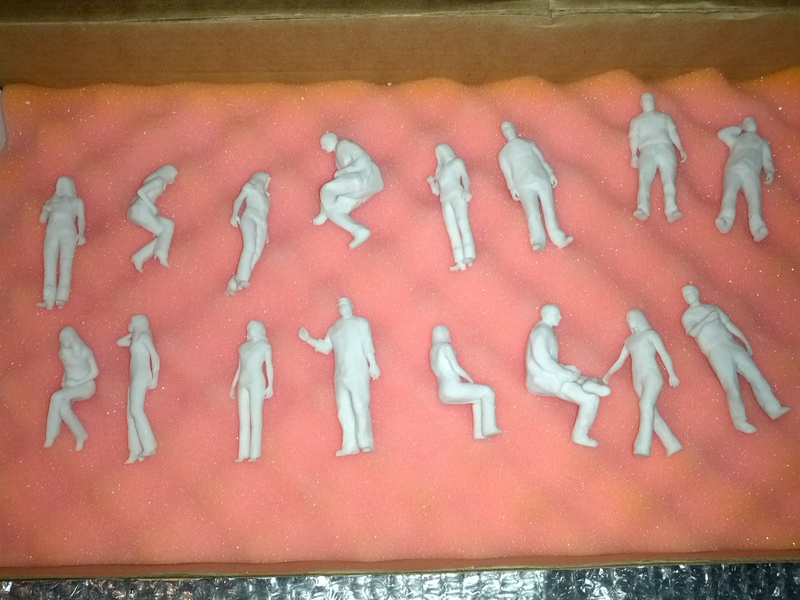 Like its smaller companion, it came to us fully assembled, complete with figures, detailed below. 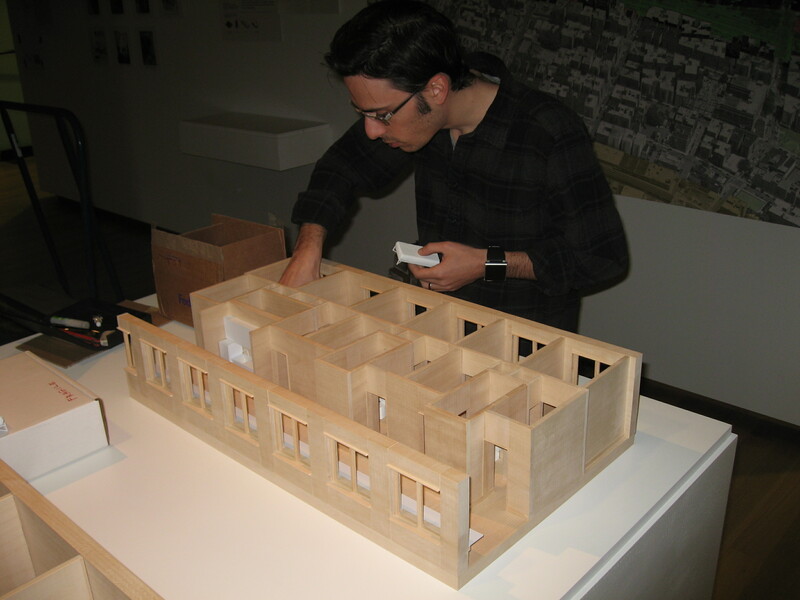 Team R8, also based in New York City, has four micro-studio apartment architectural models in the exhibition. 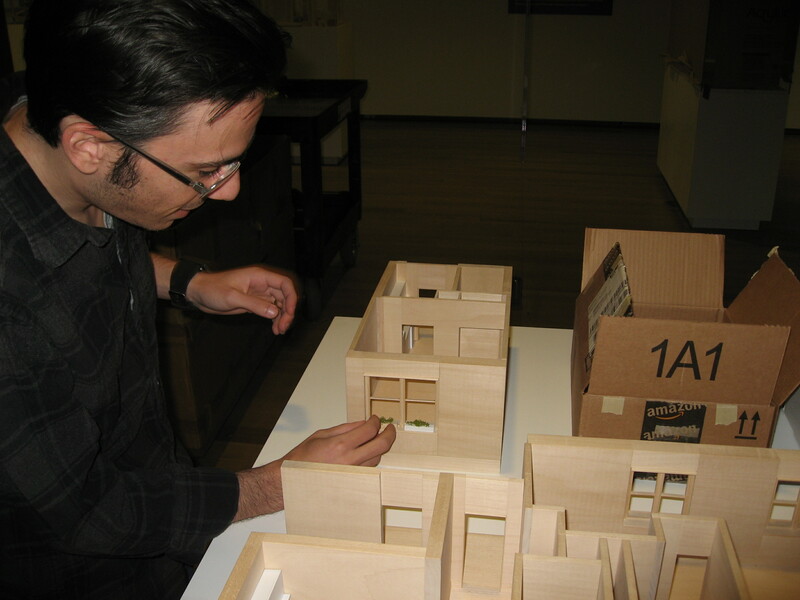 Below is a series of snapshots of the model fabricator inserting planters, beds, and figurines (created by a 3D printer!) into Team R8’s models. The architectural model that required the most assembly on site was designed by Smith & Others, a firm based in San Diego, CA. It was the first to arrive at the Museum but it was not unpacked and assembled until opening day. The images that follow show their progress, which occurred during Mayor Bloomberg’s announcement of the winner of the competition, and the press preview following. One of the final stages of a successful installation, the placing of the Plexiglas bonnet to protect the object inside, is usually met by a collective sigh of relief from all involved. Below are two staff members cleaning the bonnet for the GoHome model before it is placed. It is not often one steps inside the box! 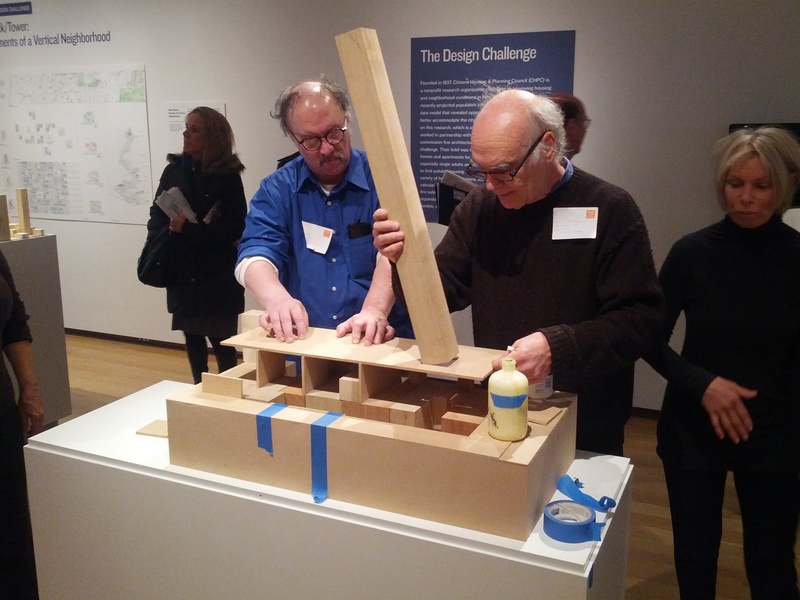 The two architectural models that are not represented in this blog were designed by GANSstudio and Peter Gluck & Partners, firms based in New York City. Visit the Museum to see those examples and learn more about those that are pictured, as well as explore the full scale micro-studio apartment and to view the winner of the competition, and perhaps imagine yourself living in one of these units, compete with a view of Central Park! This entry was posted on January 30, 2013 by wpacker in Exhibitions.